these are all of the various forms of honey as you would see them labeled at a food market. Many are found at local honey markets here in the Finger Lakes Region of upstate New York. 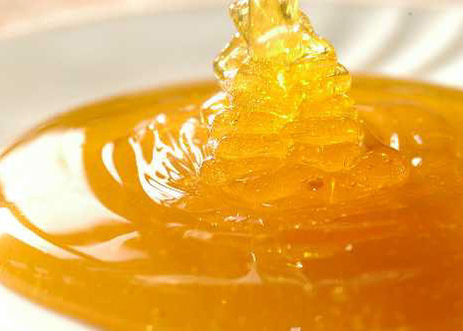 I use honey often and thought you might like to know a few things about it and why I will choose to use it when preparing baked goods and breakfast at the 1922 Starkey House Bed & Breakfast. The sweetness and goodness of honey far surpasses other types of sweeteners on the market today. Many people are not aware of all the benefits and uses of honey. They rely on the commonly used processed white sugar or have resorted to the use of a variety of artificial sweeteners. Researchers are finding more and more reasons why we should avoid the use of these toxic sweeteners. Honey is "manufactured" naturally by honey bees that started doing their work from the beginning of time. Really, it’s been used for centuries for its healing properties, as well as its sweetness. It is derived from the nectar of living flowers. When used in the forms that I mentioned above, it maintains an abundance of healthy goodness that can be served up at your table every day. All of its natural ingredients are unadulterated and contain nothing artificial so all of the pollen, live enzymes, propolis, vitamins, amino acids, antioxidants, minerals, and aromatics are in the same condition as they were in the hive. PrecautionsHoney contains a natural presence of botulinum endospores, therefore, children under one year old should not be given honey. Before the age of twelve months, a child’s intestinal track is not mature enough to inhibit the growth of Clostridium botulinum, which is often found in honey. No honey, in any form, should be given to babies younger than one. I routinely use orange blossom, fall flower, buckwheat, and other flavors of fresh local honey for my baking and along with breakfasts. I also like the use of natural Maple Syrup found locally here in the Finger Lakes Region of upstate New York. I am just getting acquainted with Agave nectar that is also a natural plant substance. Please leave your comment in the box below. You may share any honey recipe or fact about honey with my readers. If you would like to subscribe to my blog you will get updated posts sent directly to your E-mail. 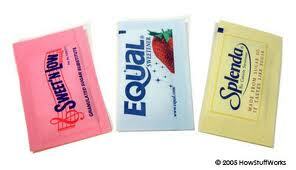 Here is an article published today about the uses and risks of artificial sweeteners.